Ted loves games. So when he figures out that his inheritance from his great-uncle is actually the beginning of a real-life escape-the-room game, he’s determined to solve the puzzle his uncle has left for him. With the help of his best bud Caleb and new friend Isabel, Ted tackles a series of puzzles that bring him closer to his uncle’s hidden treasure—but Ted and his friends aren’t the only ones in pursuit of Great-Uncle Ted’s long-hidden secret, and Ted’s about to run into real-life trouble that his gaming skills might not be able to get him out of. Click Here to Start was so much fun. And not just for gamers—the book winks at writers including Henry James and Dashiell Hammett, sneaks in some fascinating bits of U.S. history, and features a genuinely diverse main character. (I especially liked the way the book included historical details—like the Japanese-American soldiers who fought in World War II while their families at home were sent to internment camps—without a whiff of gratuitous education. Everything in the book fuels the story.) Ted, half-Jewish and half-Hawaiian, is a likable, relatable 12-year-old, more interested in gaming than school, where he has no interest in competing with his off-to-Harvard big sister. He’s brilliant when it comes to escape-the-room games, but he relies on Caleb, Isabel, and some handy Internet research to fill in the blanks for non-gaming details. 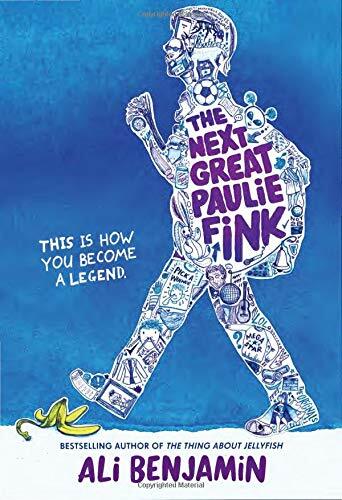 But it’s the pace of this book that I think makes it so great—this is a middle grades book, but it has the kind of plot twists and rhythm you typically get from a YA thriller. The book never settles down into a predictable path—though you probably suspect that Ted and his friends will win the day, there are lots of surprises along the way. And while some of the twists require a little suspension of disbelief (who made the personalized escape-the-room games that lead Ted to key clues? ), you probably won’t want to slow down long enough to quibble about them. 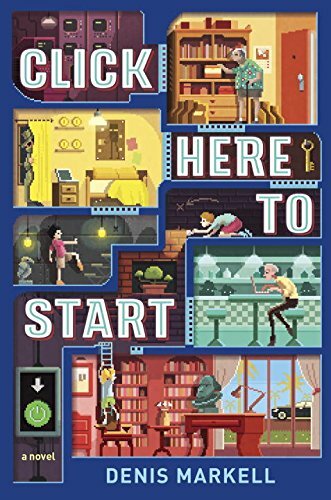 Like Escape from Mr. Lemoncello’s Library and The Puzzling World of Winston Breen, Click Here to Start is a classic adventure story that works because it pulls the reader into the adventure, too. Put it on your library list—I bet you won’t be sorry.